A Fun Windy Day Activity or Wall Decoration. Shipped and delivered quick must use permanent marker and allow to dry. Easy to assembly but a little hard to get flying if never done before. This is the perfect camp day project birthday party craft. . Let's Go Fly A Kite! These were a big hit with the older kids at our company picnic. I wasn't sure what would work best to color on them so I got both fabric markers and regular markers. Both seemed to work fine. We had no wind that day so I have no idea how well they flew - but the kids enjoyed decorating them. 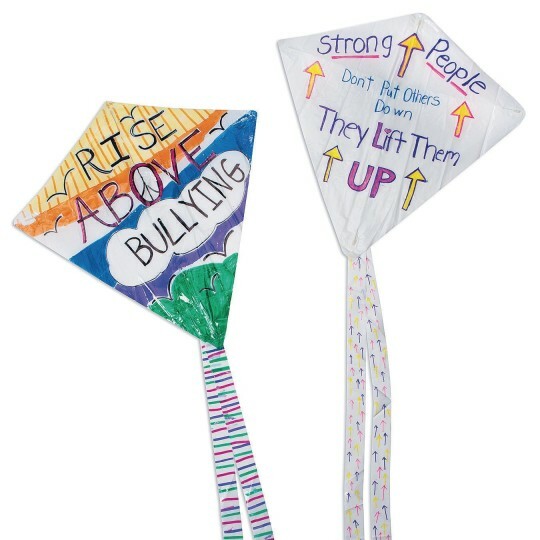 I bought these for an end of school therapy project I am an occupational therapist. 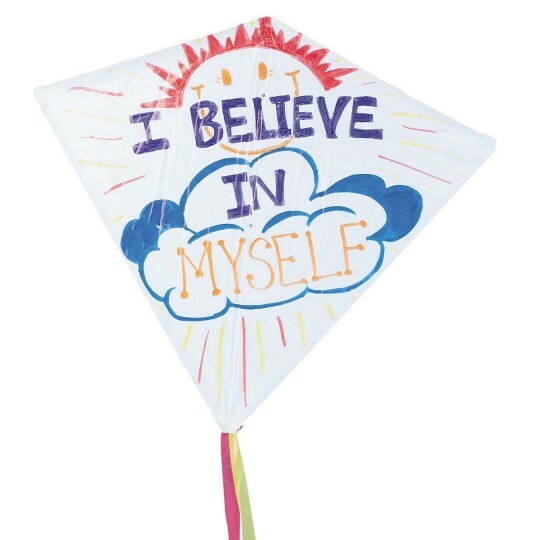 They worked out great the kids drew their design then did the grand finale on the kites with permanent marker. They loved them! Very easy low stress - great for end of the year.